As much as we love our children and our loved ones’ children and just children in general, they’re very bad at occupying themselves and need a constant stream of entertainment. Whether it’s strange roleplay games that don’t really make any sense, energetic TV shows that have theme songs so irritating you can never get them out of your head, or the dreaded ‘Daddy, can I do your princess make-up?’, we don’t blame you for heaving a sigh of relief when school starts again. It’s true, the invention of smartphones and tablets has somewhat subdued the incessant calls of ‘I’m boooored…’, but unless we want to stop our children from seeing the light of day ever again, it’s not a long-term solution. Spending time as a family has a multitude of benefits, and studies have shown that time spent bonding can have a serious positive affect on the mental health of children, and their adjustment to social and environmental aspects of life. 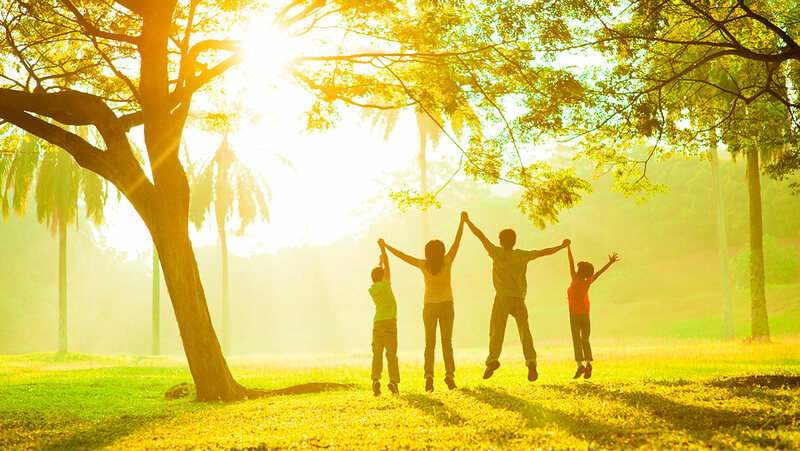 Life Advancer lists six reasons why family time is important, covering self-esteem, bond building, nurturing positive behaviour, creating memories, relieving stress, and adopting a healthy lifestyle. Sheknows.com suggests the same, that quality family time is imperative to the development of children, and that parents sometimes make the mistake of working too hard to afford a comfortable lifestyle for their family rather than simply being there. 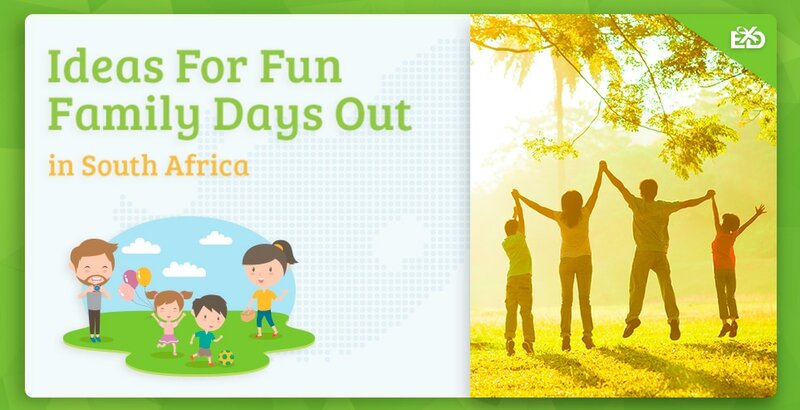 We believe spending time together making memories, exploring new places, and trying new things is a fantastic way to build a stronger family, which is why we’ve written this article on ideas for fun family days out. Beat the school holiday anxieties with an affordable and entertaining day out, all available as experience gift certificates! 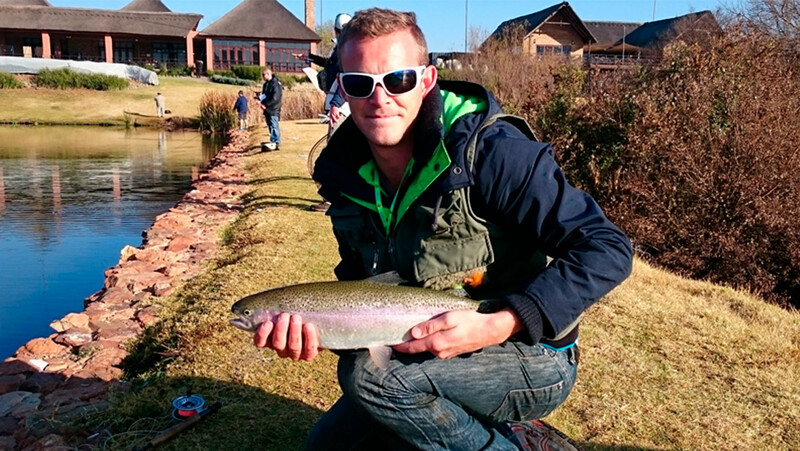 To kick things off we’ve chosen Fly Fishing Lessons in Muldersdrift, Gauteng, offering fishing classes for children up to 12 (R500), plus adult beginners lessons for only R600. The lessons take place at Kloofzicht Lodge & Spa, a 5-star hotel at the base of the Zwartkops Mountains in the Cradle of Humankind World Heritage Site, so you know the scenery is going to be second to none! Sessions are run by instructors with years of experience and expertise in teaching, including methods that make fishing fun and educational for youngsters and keeps them interested. Fishing often comes with a stigma that it’s boring – but these guys will show you that’s not the case! Learning a new skill as a family is a great way to bond, and could be the start of a new hobby that you share together. 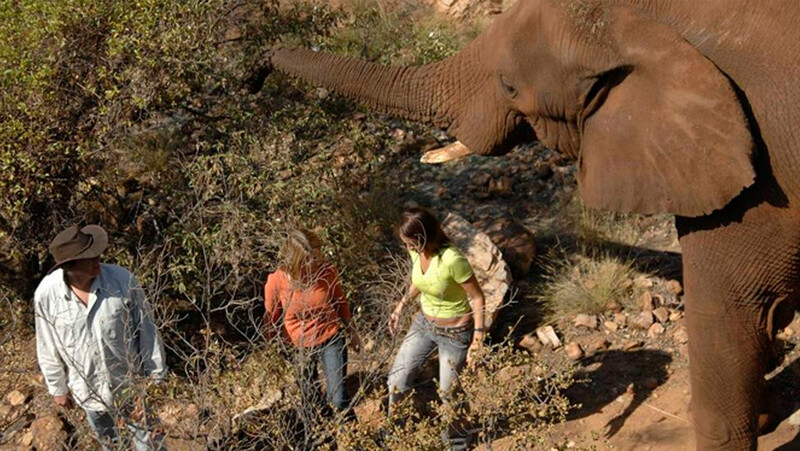 Just outside Pretoria is the Hartbeespoort Elephant Sanctuary, committed to the conservation and welfare of the African elephant population and its five residents; Amarula, Khumba, Mosadi, Temba and Mvusu. The sanctuary recently merged with the monkey reserve, so guests can now encounter a range of indigenous animals during a full day of entertainment and education. The day begins with an Elephant Encounter, where staff members will introduce you to the friendly animals and let you touch, feed, and walk trunk-in-hand through the enclosure. You’ll notice how calm and unagitated the animals are in human presence, because they are well looked after and trained using positive reinforcement methods in a happy and healthy environment. Next up is a tour of the Monkey Sanctuary, which allows you to see all the wonderful work they do in the facility and watch the monkeys play and run around. Fun for the whole family! Sometimes a day out with the family isn’t enough, and you need a few nights to reconnect and have some fun. Holidays can be expensive, but a weekend getaway is just the right amount of time to bond as a unit and get our of your comfort zone. The Lydenrust Guest Farm is situated on a small farm near Nelspruit, giving families access to adorable animals like goats, pigs, cows and horses, and incredible views of the Elandspruit River and the Makobulaan Nature Reserve. 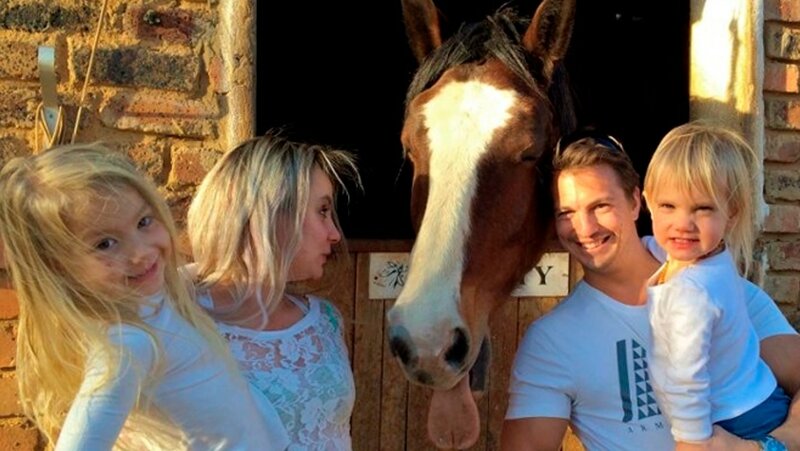 The guest lodges are modern and cosy with all the amenities you’ll need for a comfortable stay, with plenty of activities to get stuck in to – the package even includes a pony ride or an animal petting tour for the kids! Getting away from everyday life and living amongst nature for a while can be the breath of fresh air a young family needs, and is sure to be a trip you’ll remember forever. 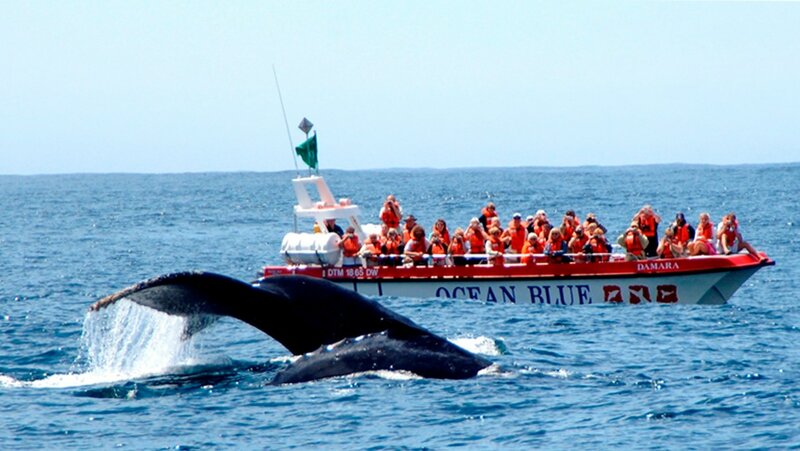 On the topic of animals, our next pick for family days out is the Whale Watching Trip in Plettenberg Bay, Western Cape. The experience is run by a highly reputable tour company who know what to look for when spotting these elusive creatures, and hold a SABBWWA permit which means you can get within 300m of the animals! Departing from Central Beach, the boat will zoom past the iconic Arch Rock before heading out to sea, where hopefully you’ll catch glimpses of Southern Right whales, Orcas, Humpbacks, and Bryde’s whales, as well as dolphins, sharks, and seals. The on board skipper will be narrating as you go, so not only will you be able to spot some incredible sea creatures, you’ll be learning something too! A boat trip is a fun and outdoorsy way to spend time with the family, and is an affordable day out for everyone to enjoy. 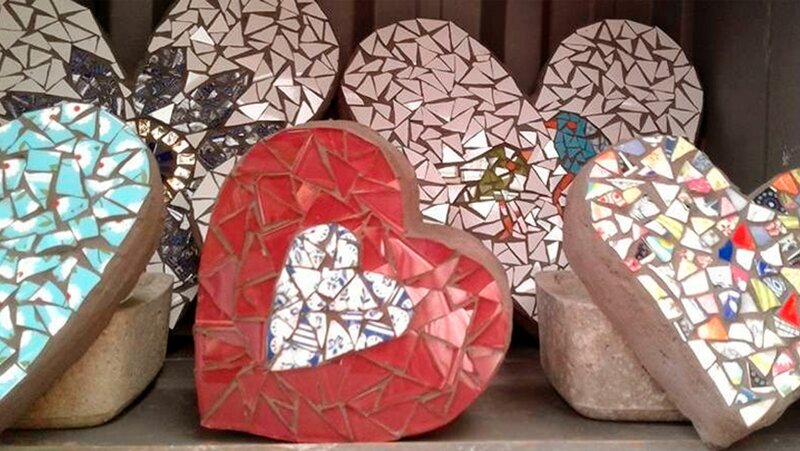 Get artsy with this utterly unique two hour mosaic workshop in Cape Town, only R399 per person! Arts and crafts experiences are always fun for the family, allowing everyone to get creative and show some flair, in an informal and relaxed environment. This particular workshop is run by a friendly woman who has been in the mosaic business for quite some time, and wants to share her passion for the art form with others in the Cape Town area. Using a selection of beautifully coloured tiles, guests will arrange and glue their own mosaic to take home and display, all under the expert guidance of the instructor. You can make any image you want and really get imaginative with the patterns, and soon discover that all sorts of items can be mosaic’d, from plant pots to watering cans! A few hours spent doing an activity that most likely neither parent nor child has done before is a fantastic bonding experience. We know this is an article for family days out and the makeover is only for one person, but the photoshoot is for up to ten people, so you can invite the whole clan! This photoshoot package is completely affordable, located centrally in Randburg, and includes ten prints for you to take home and keep forever, so you can cherish the image of your little angels long after they’ve become grumpy teenagers! After the makeover is complete, you’ll have a chance to talk with the photographer about the theme you want to go for, then get the whole gang in to strut and pose and have some fun. There are props to use if you want to be a bit silly, or go for a classic and refined look to show off your beautiful family. Once the photoshoot is complete, you can pick your ten favourites and take them home as prints! A family photoshoot is a truly magical experience that makes a unique gift idea. You’re not to blame thinking anything that involves wine is not going to be suitable for families with children. It’s true, the legal drinking age is 18, but wine estates have so much more to offer than just wine tasting. 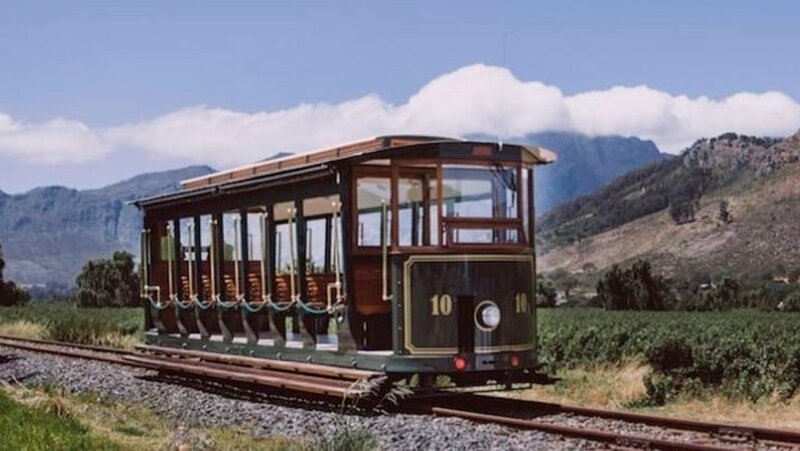 This Hop-On Hop-Off Tram Tour in Franschhoek is perfect for families, as it combines the novelty of a vintage tram ride with a selection of the best wineries in the valley – a lot of which have restaurants, picnic areas, and playparks for the kids. Simply choose which coloured line you want to ride, then get on and off at as many wineries as you like, and stay as long as you please. The tram ticket often includes discounts or special deals at each vineyard, and you can plan your day around the wine estates that are most child friendly before you go! For only R220 per adult and R90 per child there’s really no excuse not to experience the incredible vineyards of Franschhoek, or gift the experience to loved ones for a unique family outing. Ready for some adrenaline-pumping high-octane off-road driving fun? This experience is for slightly older kids, but that’s only because it’s more action-packed than your average family day out. 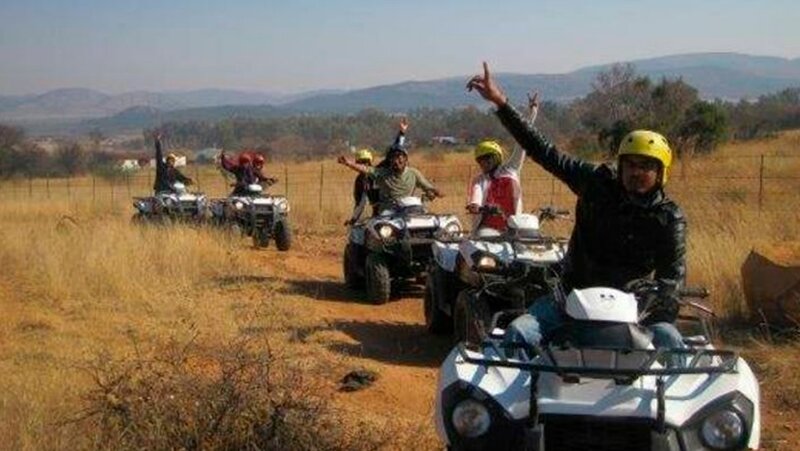 Head to Parys, North West, for an hour of quad biking near the Vredefort crater and Vaal River, zooming round a specially designed route that pushes the limits of the bikes and tests your driving capabilities. Instructors will be on hand at all times to make sure people are safe, and will start each session with a safety briefing and demonstration to ensure everyone is confident before setting off, so you can sit back and enjoy the view – and what a view it is! The landscape stretches for miles in every direction, covering grassy fields, rocky pathways, and a selection of man-made obstacles thrown in for fun. This is the perfect day out for families who enjoy a bit of action and adventure in their lives, and is sure to give the kids something to talk about for weeks to come! Those are our Top Eight Ideas For Fun Family Days Out, all available as gift certificates if you want to share the love. We can’t stress enough how important family time is; even if it’s just a movie night snuggled up on the sofa or eating dinner together, it’s sometimes the little things that matter most. Getting to know each other, properly, can be so beneficial to the mental and physical health of our loved ones, and helps to build stronger relationships that can withstand every tribulation thrown our way. Hopefully you’ve found some inspiration within our article for your next family outing, or a unique gift idea for those who deserve some quality time with their clan. If you have any questions or suggestions for future articles we’d love to hear from you – simply use the comments form below and we’ll get back to you right away! As always, thank you for reading, and we’ll see you next time.